Today, I have finally accomplished the (seemingly) impossible. 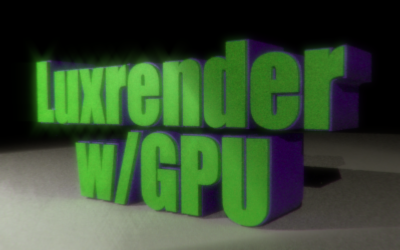 After a lot of trial and error, I finally figured out how to use LuxRender’s Hybrid renderer. I had tried for a couple months without luck, but today I had a breakthrough. I’m very excited about all the possiblities of hybrid rendering and can’t wait until my next chance to use it!